Heat gas grill on medium-low or charcoal grill until coals are ash white. To assemble skewers, alternately thread fruit onto wooden skewers. Place skewers onto grill. Grill, turning and brushing with glaze, until fruit is softened and heated through (4 to 6 minutes). Soak wooden skewers in water for 30 minutes to prevent burning when placed onto grill. Use other fruits, such as grapes, peaches or apricots, as desired. 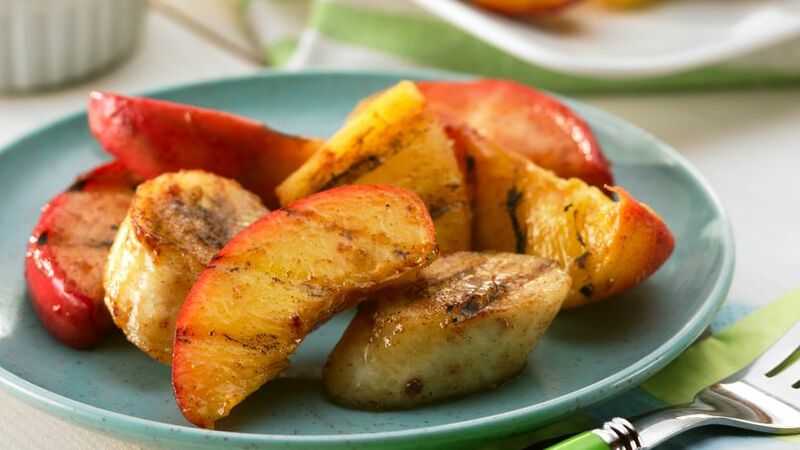 An easy way to add fruit to your menu.